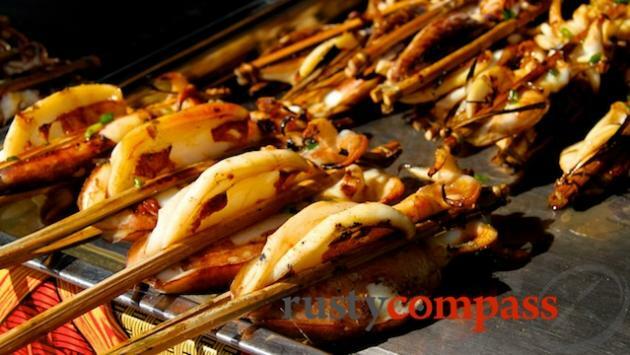 An independent selection of the best eateries from fine dining to street food in Cambodia, from Rusty Compass. No paid endorsements. Very often these simple eateries are the best. Squid at Kep's crab market. Cambodian cuisine hasn’t quite captured the western culinary imagination like the flavours from neighbouring Vietnam and Thailand - not yet at least. But Cambodian cuisine is every bit as tasty and interesting as that of its larger neighbours and includes plenty of familiar flavours too. 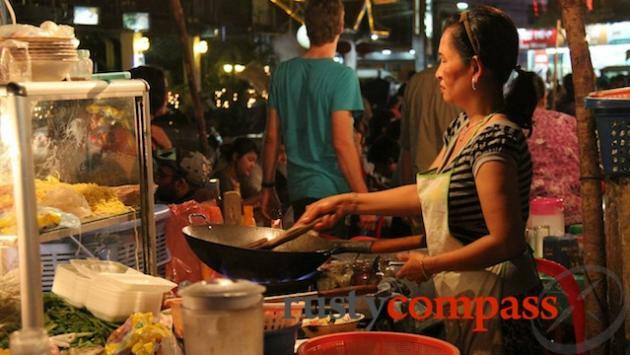 Khmer cuisine is probably most similar to Thai cuisine - but with less tongue tingling spice. Rice of course is the main staple and noodles are also popular. And no Khmer meal is complete without an accompaniment of soup (samlor). Fish Amok serves as Cambodia’s defacto national dish. 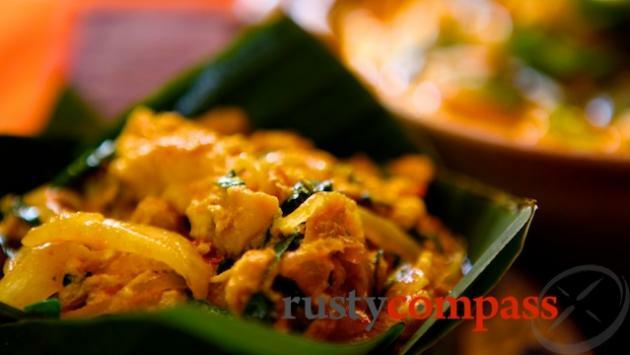 It’s a superb fish based curry without any real bite that owes much of its delicious flavour to the coconut milk base. It can also be served with chicken or tofu. 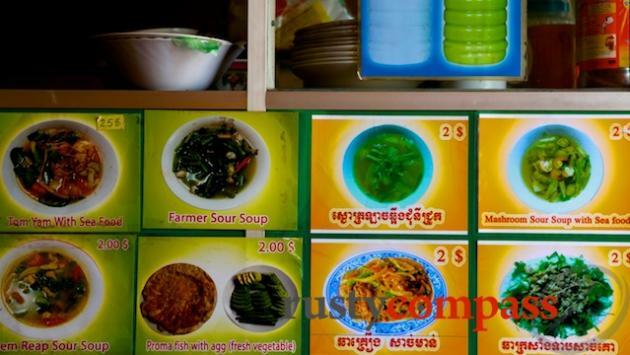 Its popularity with travellers has elevated it - alongside the Vietnamese relative Loc Lac - to the Khmer standards menu sometimes at the expense of other equally delicious dishes. 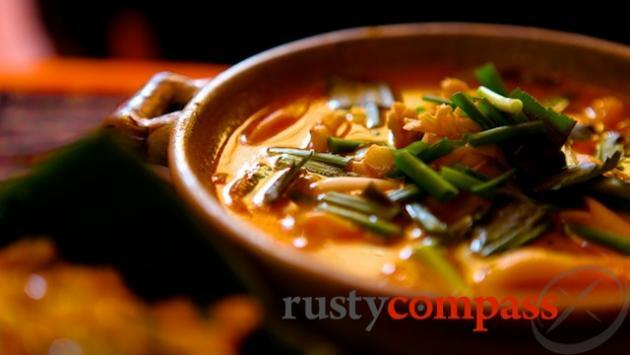 Make sure you try some soups and other dishes beyond the standard selection. Phnom Penh and Siem Reap have an extensive range of excellent places to sample Khmer food from some very upscale spots through to street stalls - with plenty of options in between. There are also loads of other dining options in the two major centres. The French have returned to Cambodia in considerable number and have created some very pleasant eateries. There are also plenty of Italian, modern European, Indian, Chinese and Japanese restaurants. Tourist strips in Phnom Penh and Siem Reap are also crowded with mediocre establishments serving up the usual mix of backpacker favourites - hamburgers, pizza, pancakes along with often questionable interpretations of local cuisine. For more detailed eating suggestions by destination, check the eating section on this website for each place you plan to visit.